Our multimedia theme pages present short videos, interviews, infographics and related research publications on relevant and emerging themes for environmental policy. Environmental pollution causes death, pain and suffering. How do we estimate the economic impact of these health damages on society? And what should we pay to reduce or avoid the damage? Our Future Brief explores how to assign an economic value to the health impacts of pollution, with a focus on the effects of air, chemical and noise pollution. 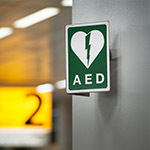 Two infographics accompany this report; the first explains QALYs and DALYs, two key approaches to measuring health impacts, while the second poses a fundamental question: what would you spend to save a life? 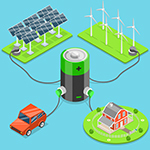 High-quality and innovative batteries are imperative for the EU in the context of its move towards a low-carbon, climate-friendly and more circular economy. However, manufacturing and using batteries, as well as the way they are treated at the end of their life, also has environmental impacts. Take a look at our Future Brief, Towards the Battery of the Future, and our related infographic, to learn how the environmental footprint of batteries could be lowered. The Future Brief also highlights how battery technologies are evolving to deliver better performance. How to value and account for ecosystems? How should we value ecosystems’ natural services like pollination or clean water? Healthy ecosystems allow for human life to exist and thrive. 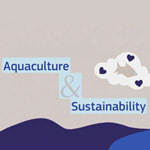 The healthier our supporting ecosystems, the more reliable the flow of benefits they will provide. The risk is that, without efforts to measure and value these services, the default value can be ‘zero’. Watch our short video introducing the key debates or read the In-Depth Report, Taking stock: progress in natural capital accounting. It is not enough to make a law protecting the environment, if people do not comply with it. 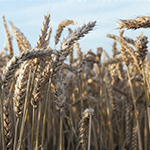 What aids compliance with environmental laws? How best to focus compliance efforts? What challenges and opportunities does the future hold? And how do new technologies, such as satellites, help in the fight against environmental crime? 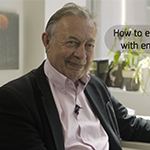 Watch our videos exploring the topic, or read our Thematic Issue, which includes an editorial from Professor Richard Macrory. Mercury is a heavy metal that is well known for being the only metal that is liquid at room temperature and normal pressure. It is also a potent neurotoxin with severe global human health impacts. It can be converted from one form to another by natural processes, and, once released, actively cycles in the environment for hundreds to thousands of years before being buried in sediment. 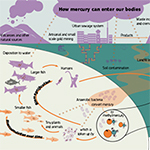 Check out our infographic on how mercury enters our bodies, or read our In-Depth Report, which summarises the latest scientific studies and research results on mercury pollution in the global environment. Noise pollution has serious health consequences. As the sources and severity of noise pollution continue to grow, there is a need for new approaches to reduce exposure. This complex and pervasive problem has no single solution or source, and careful consideration is needed to tailor abatement measures. Check out our infographic, which provides a summary of short-, medium- and long-term noise abatement approaches as well as their cost-effectiveness. Synthetic biology may propose solutions to some of the greatest environmental challenges, such as climate change and scarcity of clean water. However, the introduction of novel, synthetic organisms may also pose a high risk for natural ecosystems. 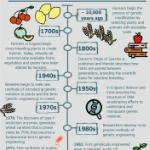 Check out our infographics on some of the history and science behind synthetic biology. 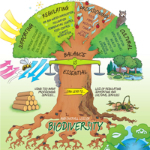 To keep Europe’s ecosystems healthy, we need to protect biodiversity. How can the ecosystem service approach help? And how can we capture people’s more deeply held values beyond mere money? Watch the video produced by Science for Environment Policy about the different tools in the ecosystem services toolbox. Citizen science: what value for environmental policy? Can citizen science help to drive environmental policy? What is its added value? Our short interview with Tom Wakeford (Reader in Public Science and Citizen Engagement at Coventry University, UK) examines some of the issues and the possible future for citizen science in environmental policy in Europe. 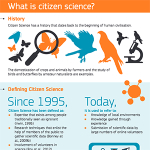 Citizen science broadens the range of people who are able to be included in the creation of new and useful knowledge, and includes mass participation schemes, wildlife monitoring via smartphone apps, or grassroots groups taking part in local policy debates about fracking. Our infographic summarises its definition and value, and our In-depth Report investigates the topic more comprehensively.